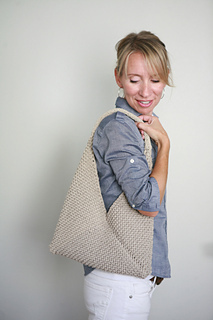 The beauty of these bags is that you only need to knit a rectangle. 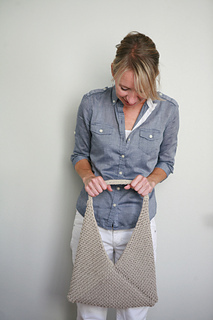 The magic of the folding and seaming is what creates the shape! 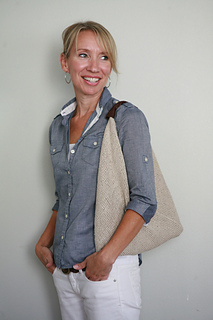 We chose to knit these bags out of a super bulky weight cotton ribbon (garter version) and an aran weight linen yarn (stockinette version). 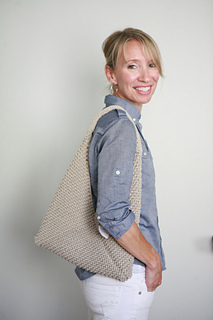 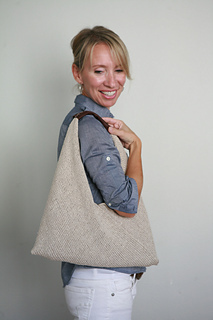 Have fun knitting these bags in any size and fiber for different options!